Forty-three years ago I was in graduate school in San Marcos, Texas. I was called to the hall phone to receive a call from a man in Washington D.C. who was heading the Peace Corps program in the Dominican Republic. Andres Hernandez, Andy to those of us who love him so much, had reviewed my application. 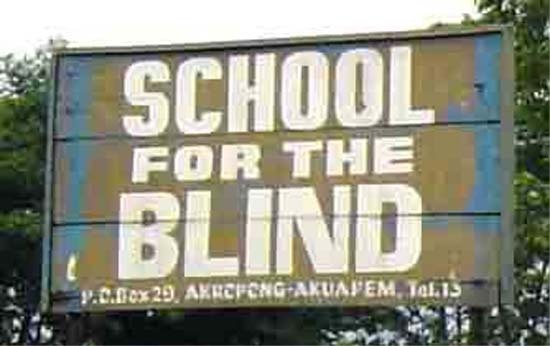 He knew the school for the blind was looking for a teacher. I was reluctant to travel to that part of the world because it was during the Cuban missile crisis. Better judgment prevailed. I knew this was a chance to pioneer a new opportunity for blind people, and I was ready to teach. Once or twice during my working years after the Peace Corps I tried to find Andy because I knew he would give me a good job reference. Apparently he tried to find me too. 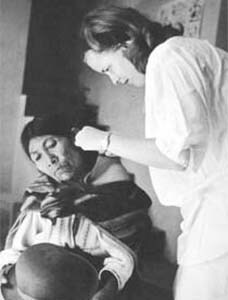 Without our knowledge, between 1972 and 1983 we lived only a few hours apart, I in West Texas, he in eastern New Mexico. Thanks to Hugh Pickens, a newspaper in San Antonio, and Andy's persistence we have finally been reunited. Andy is planning a reunion of his D.R. people in September and hopes to be able to arrange some help for me to return to the D.R. He wants me to see how much the program we helped to build at the school for the blind has advanced in the last four decades. The government apparently is honoring assistance from Americans, like Peace Corps volunteers, for their part of the progress. It was a struggling nation when we arrived. After overthrowing their dictator their next effort at government was also overthrown, and we never knew what lay around the corner politically. When Andy and his wife were reassigned to Guatemala during my service I went out to the airport to say Goodbye but there wasn't time for real expressions of feelings. I gave them a doily which I had crocheted. His wife Amelia later wrote me a "Thank you" note and said that she had used it on a cocktail tray at a special function in their new home. That made my day. At 92, Andy is still the gracious service oriented man I knew forty years ago. I am looking forward to more phone calls and letters and face-to-face visits soon.